Spotify has been rolling out some major changes to its "Spotify for Artists" platform that have met with largely favorable feedback from users. Here we break down what's new. If you haven’t noticed already, some big changes have been made to the Spotify for Artists platform and it has its users pumped. Here we’ll go in depth on exactly what new features have been implemented to your Spotify for Artists page. When accessing your Spotify for Artists page, you’ll notice that there is a brand new header section with four accessible tabs: Home, Music, Audience, and Profile. The Home tab is arguably the biggest and most useful change within the new update. 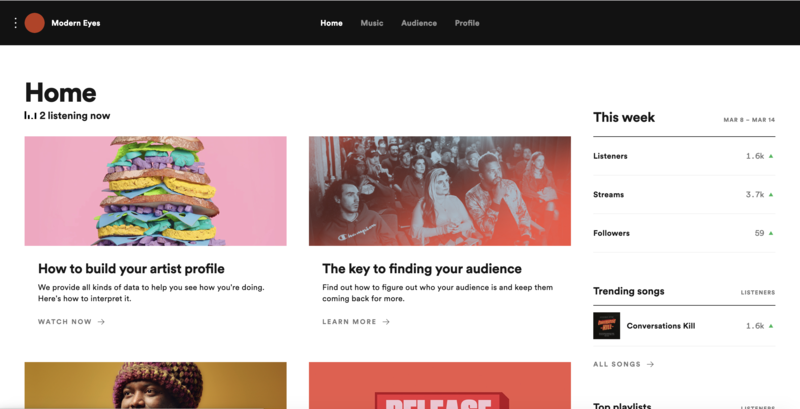 Here you’ll notice that Spotify has implemented a blog-like feature where artists can read up on advice regarding promoting their music, how to build their profile, tapping into their audience, and more. 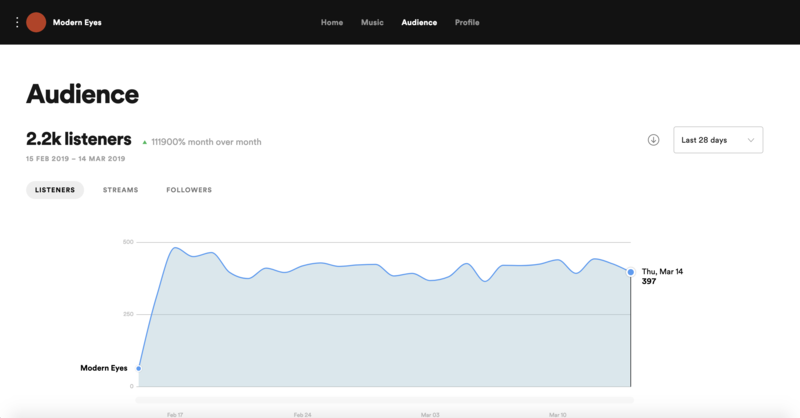 The Home page also includes an analytics sidebar where you can see how your tracks are performing in real time. In the Music tab, artists are able to view/track their singles and albums. The tab displays information for each of your releases including total streams, listeners, saves, and project release dates. Artists can see their released and unreleased content in this section as well as view how well they are performing. The Audience tab allows artists to view how many people have/are listening to their music. You have access to data such as page followers, streams, and listeners which is all displayed through a visual chart so artists can see exactly how their numbers are increasing/decreasing. This tool presents a great way for artists to see exactly how many people are enjoying their music. The Profile tab displays exactly what Spotify users see when they visit your artist page. This is also the tab in which you’re able to make direct edits to your page. This includes the changing of profile pictures, edits to your About section, and other general altercations.